What is this groundbreaking treatment? Liquid Green-lipped mussel! The 100% liquid Green-lipped mussel treatment is in a liquid and stabilized form! 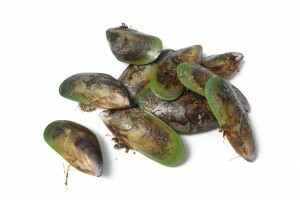 Therefore, the green-lipped mussel used in this treatment is not a dried powder or extract. The unique process used in this treatment turns the entire mussel into a liquid emulsion. This means they preserve all the mussels’ active ingredients. Since the ingredients do not need to be broken down in the intestines first, they can be absorbed faster and more efficiently. Consequently, the anti-inflammatory and pain-killing substances in the liquid Green-lipped mussel can be absorbed more quickly into the bloodstream. Your bloodstream then carries the substances to the inflamed areas in the joints. This is where the special Omega-3 fatty acids start combating inflammation. However, there is more! This treatment is more economical. You will need less of this Green-lipped mussel treatment. Because it is a liquid product, you will need a lower dose. The best liquid Green-lipped mussel joint treatments also contain Curcumin, Blackcurrant leaf and Boswellia serrata. This is because Curcumin, Blackcurrant leaf, and Boswellia also fight against inflammation. In conclusion, this combination with liquid Green-lipped mussel is powerful and effective. Especially relevant, many arthritis patients have a major concern about adverse interactions with other medications. A benefit of liquid green-lipped mussel and other natural products is that you can use them safely alongside other medications. In conclusion, it is no surprise that we consider liquid Green-lipped mussel the latest innovation in the treatment of painful, inflamed joints. When you purchase green-lipped mussel, make sure the label on the bottle reads “100% pure Green-lipped mussel”.